BUCYRUS — On Saturday, Septetmber 2, runners from Colonel Crawford, Northmor and Crestline headed to the Crawford County Fairgrounds to compete in the annual Bucyrus Elks Invitational cross country meet. Both of Colonel Crawford’s teams and both of Northmor’s teams would finish within the top five schools on the day. On the boys side, the Eagles ran their way to a third place overall finish. Once again breaking the elusive 15-minute barrier and winning the championship on the boys side was Chad Johnson. After taking the crown at last week’s Early Bird Invite with a time of 14:57.88, Johnson won the Elks Invite on Saturday with a time of 14:57.84. The competition was a little close this week with Buckeye Valley’s standout runner, Zach Kreft finishing behind Johnson in second at 15:06.83. Wade Hopkins finished in the top-25 at 14th overall with a finishing time of 17:24.07. The Eagles had one more top-25 finisher on the day in the likes of Braxton James. James took home 19th place in a time of 17:38.28. Other Eagles runners in action on Saturday were: Alex Mutcher- 18:06.67; Mason McKibben- 18:29.19; Zach Leonhart- 19:57.59; Jacob Hoffman- 19:58.86; Alex Lawson- 20:06.04; Brandon Bauer- 22:31.13 and Bryce Tieben- 25:10.44. The Northmor Golden Knights would finish in fifth in the 20-team field on the day. Top runner on the day for the Knights boys squad was Gavin Keen. Keen took 17th overall with a time of 17:33.40. Teammate Austin Amens also finished in the top-25 for Northmor, crossing the finish line in 17:40.65 which was good for 20th. Other Knights runners in action on Saturday were: Ryan Bentley- 18:22.42; BJ White- 18:41.69; Kaleb Hart- 18:42.39; Chase Hoover- 19:09.25; Kooper Keen- 19:37.79; Alec Moore- 20:03.10; Kolton Hart- 20:50.92; Kyle Price- 21:08.80; Sam Weaver- 21:09.24; Zach Govoni- 21:53.10 and Austin Lewis- 22:45.26. Crestline had three runners participating on Saturday as well. Gavin Balliett turned in the Bulldogs’ best time at 20:34.53. Blaine Barker (24:18.22) and Wesley Patrick (27:57.85) were also in action for the Crestline squad. Other teams and their placement at the invite on the boys side were: 1. Buckeye Valley; 2. Mapleton; 4. Willard; 6. St. Paul; 7. Elyria Catholic; 8. Plymouth; 9. Lakota; 10. Highland; 11. Wynford; 12. Genoa; 13. Elgin; 14. Upper Sandusky; 15. Bucyrus; 16. Mohawk; 17. Lucas; 18. Pleasant; 19. Buckeye Central and 20. River Valley. For the girls side of the invitational, it was the Lady Knights from Northmor earning the runner-up honors and the Lady Eagles snagging fifth overall. Winner of the race was Chloe Dawson from Buckeye Valley with a championship time of 19:37.01. Top finisher for Northmor on the day was Jessica Duryea. Duryea cracked the top-10 overall at sixth place with a finishing time of 20:25.89. Also in the top-25 for the Lady Golden Knights was Brooke Bennett at 16th, crossing the finish line with a time of 21:07.48. Other Lady Knights in action on Saturday were: Julianna Ditullio- 21:47.20; Julia Kanagy- 22:05.71; Kristie Wright- 22:14.57; Sabrina Kelley- 22:36.62; Olivia Goodson- 23:38.29; Carolyn McGaulley- 24:47.67; Kenadie Hart- 26:58.05 and Tori Carver- 30:38.43. Colonel Crawford’s top place was Courtney Britt, finishing 15th with a time of 21:03.65. Ally Hocker also made it into the top-25 at 22nd overall with a time of 21:20.11. 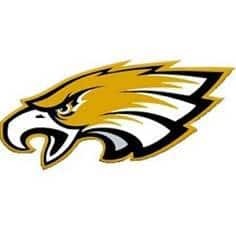 Also in action for the Lady Eagles on Saturday were: Kari Teglovic- 22:16.31; Kaisey Speck- 22:21.51; Hannah Willacker- 22:37.70; Alison Manko- 23:15.65; Courtney Lyons- 23:44.22; Alivia Payne- 25:51.80; Abby Hocker- 26:29.77; Annalyssa Leone- 28:28.72; Emma Swisher- 29:47.04 and Macie Dicus- 29:48.79. Crestline’s Caitlin Harley also ran at the Elks Invite on Saturday and crossed the finish line with a time of 22:49.87. Other teams and their placement at the invite on the girls side were: 1. Buckeye Valley; 3. Willard; 4. Upper Sandusky; 6. St. Paul; 7. Highland; 8. Elyria Catholic; 9. Mohawk; 10. Genoa; 11. Mapleton; 12. Lakota; 13. Pleasant; 14. Buckeye Central; 15. Bucyrus and 16. Plymouth. Up next for the Eagles will be a trip to the annual Tiffin Carnival on Saturday, September 9. Northmor will be headed to the McGowan Invitational at Watkins Memorial that same day. Crestline will travel to Wynford on Tuesday, September 5 to run in the Wynford Invitational.